Last Saturday marked the mid-way point of the 120-day, second regular session of the sixty-ninth Colorado General Assembly. Compared to the 2013 session, this session has been notable for its relative lack of political fireworks, even if 2014 is an election year. Most participants and observers of last year’s session agree that it was one of the most politically acrimonious in recent memory. About 470 bills have been introduced so far this session, said Loren Furman, CACI Senior Vice President, State and Federal Relations, who pointed out that seven “bad-for-business bills” have been killed (see article below updating CACI’s legislative lobbying agenda). Two bills that CACI supported have died. And two bills that CACI supported have been signed into law by Governor John Hickenlooper. Loren expects perhaps 50 or so “late bills” to be introduced near the end of the session. Late bills require either the approval of House Speaker Mark Ferrandino (D-Denver) or Senate President Morgan Carroll, depending on the chamber where the bill is introduced. Telecommunications reform and rural access to broadband. Although the state budget is healthier than it has been for many years, the additional revenue has resulted in about 40 bills, including some supported by CACI, languishing in the House Appropriations Committee. The bills will likely remain there until the legislature digests the proposed state budget—known as the Long Bill–for the fiscal year beginning July 1st. And the House Appropriations Committee will decide which bills pass muster and move on to the full House—and which do not and die at that point. “Half-time at the Colorado Capitol,” by Ed Sealover, The Denver Business Journal, March 14th. “Ed Sealover on the Legislature’s half-way point,” video, The Denver Business Journal, March 14th. “5 Legislators who will effect Colorado business legislation,” slide-show, The Denver Business Journal, March 14th. “Dems, Republicans differ on mid-session assessment,” by Peter Marcus, The Colorado Statesman, March 14th. “As Colorado legislature enters second half, budget is among top priorities,” by Kurtis Lee, The Denver Post, March 9th. “Rural interests are still waiting for a little love,” by Peter Marcus, The Colorado Statesman, March 9th. To date, CACI has taken positions on about 30 bills or soon-to-be-introduced bills. In addition, the CACI lobbying team monitors three to four times more bills for their potential impact on the statewide business community. 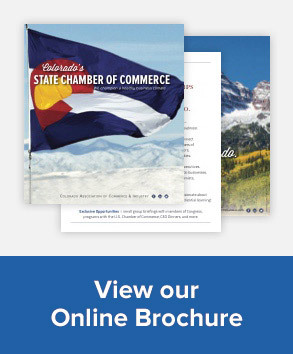 For information on CACI’s lobbying agenda, contact Loren Furman, Senior Vice President, State and Federal Governmental Relations, at 303.866.9642. On Tuesday, the CACI Governmental Affairs Council voted to make HB-1108, “Copayments for Physical Rehabilitation Services,” a priority for opposition. The bill’s lead sponsors are Representative Dianne Primavera (D-Broomfield) and Senator Lois Tochtrop (D-Thornton). Earlier, the CACI HealthCare Council had voted to oppose the bill. The House passed the bill on Third Reading on February 27th. On March 5th, the Senate business, Labor and Technology Committee amended the bill and sent on to the full Senate, where it awaits Second Reading. Applies to services provided by physical therapists, occupational therapists, chiropractors, acupuncturists, and massage therapists. The effect of this legislation will be an increase in premiums. Low-premium plans have higher cost sharing, while higher premium plans have lower cost sharing. Decreasing the cost sharing on those low-premium plans will cause premiums to increase, as the costs must be absorbed somewhere. HB-1108 will also cause an increase in the cost-sharing for other benefits. Colorado law states that plans must meet “actuarial value” thresholds of 60% (Bronze), 70% (Silver), 80% (Gold), or 90% (Platinum). Plans offered at a Bronze or Silver level are required to pay for 60 or 70 percent of essential medical costs, including rehabilitative services, and cannot vary more than 2% from that 60 or 70 percent threshold. If the cost-sharing required for one benefit decreases, the cost-sharing for other benefits under the plan must increase in order for the plan to be within that threshold, as required to be complaint with Colorado law. HB-1108 limits consumer choice by increasing the premiums for Bronze and Silver plans. Many consumers choose to purchase a low premium, high cost-sharing because it is the best fit for their needs. This bill limits the ability to choose a low premium plan by increasing the premiums in those plans. Colorado’s goal should be to match the consumer with the best plan for their needs, rather than eliminate choice across the board. Tools such as PuttingPatientsFirst.net guide an individual to select the most cost-effective plan for their particular needs. This is a more cost-effective approach to not only the individual, but to all Colorado consumers purchasing insurance. The reengrossed bill prohibits insurance companies that provide individual and small group health insurance policies from imposing a copayment for physical rehabilitation services that is greater than the amount charged for a visit to the patient’s primary care physician. In addition, the copayment cannot exceed the amount paid by the insurance company to the physical rehabilitation service provider. Finally, the bill requires insurance companies to clearly state the availability of physical rehabilitation services coverage and all related limitations, conditions, and exclusions under their health coverage plans. For more information on HB-1108 and the work of the CACI HealthCare Council, contact Carly at 303.866.9622. On Tuesday, the House Public Health Care and Human Services Committee killed HB-1192, which was sponsored by Representative Janak Joshi (R-Colorado Springs) and which would have repealed the Colorado health benefit exchange. The exchange is now known as Connect for Health Colorado. The bill was killed on an eight-to-five vote with Republican Representative Amy Stephens (Monument) joining the seven majority-party Democrats to oppose the measure. In 2011, Representative Stephen was the prime House sponsor of SB-200, which created the exchange after it was passed by the legislature and signed into law by Governor John Hickenlooper. CACI supported SB-200. Last year, Representative Joshi sponsored HB-1078, a bill similar to HB-1192. CACI opposed HB-1078, which died. For more information on HB-1192, contact Carly West, CACI Governmental Relations Representative, at 303.866.9622. “Bill to repeal Connect for Health Colorado is shot down,” by Ed Sealover, The Denver Business Journal, March 11th. “The strange, winding debate around a bill to repeal Collect for Health Colorado,” by Ed Sealover, The Denver Business Journal, February 26th. This bill repeals the Colorado Health Benefit Exchange Act, effective January 1, 2015, and requires the state treasurer to transfer any unencumbered moneys that remain in the exchange to the General Fund. 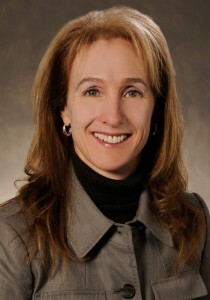 The Colorado Health Benefit Exchange Act, enacted under Senate Bill 11-200, established the Colorado Health Benefit Exchange (exchange), a non-profit board of directors (board) to oversee the establishment and operation of the exchange, and the Legislative Health Benefit Exchange Review and Implementation committee (committee) to make recommendations to the board. The exchange, now known as Connect for Health Colorado, is a marketplace for consumers to shop for and purchase health insurance, with policies sold taking effect on January 1, 2014. Persons purchasing health insurance through the exchange may qualify for federal subsidies if their income is between 133 and 400 percent of the federal poverty level and they meet certain other requirements. Currently, the exchange is funded by an assessment of health and dental plans sold in Colorado, donations from insurance carriers through a premium tax credit, fees charged on policies sold in the exchange, as well as gifts, grants, and donations. The exchange is required to be self-sufficient in funding its operations by 2015 and no General Fund may be used to fund the exchange. The exchange is fully operational and has currently enrolled approximately 73,500 in health care coverage plans. Its yearly operational budget is approximately $26 million. A 12-member board of directors, who serve without compensation, governs the exchange. The 10-member committee is authorized to make recommendations to the board and the exchange, and can carry legislation concerning the exchange. The review committee is authorized to meet up to five times per year, and is required to meet at least twice per year. Support to the review committee and post-enactment review are provided by staff of the Legislative Council and Office of Legislative Legal Services. Subject to federal grant terms and conditions, the bill increases revenue to the General Fund by approximately $20 million in FY 2014-2015 by transferring any remaining unencumbered moneys held by the exchange to the General Fund on January 1, 2015. “Colorado legislature readies to tackle telecom, rural broadband reform again,” by Ed Sealover and Greg Avery, The Denver Business Journal, March 14th. “Colorado employers increase testing for drug use, survey shows,” by Steve Raabe, The Denver Post, March 14th. “CACI, local chambers of commerce rally at Capitol,” The Colorado Statesman, March 14th. “Colorado House resolution on minimum wage sparks maximum debate,” by Anthony Cotton, The Denver Post, March 13th. “Strong stands from both sides on minimum wage resolution” by Ed Sealover, The Denver Business Journal, March 13th. “Colorado OKs incentives for 630 jobs—but will they come?” by Aldo Svaldi, The Denver Post, March 13th. “Colorado House speaker pushes bill to shake up higher-ed funding,” by Anthony Cotton, The Denver Post, March 13th. “CFOs do the math on minimum wage increase,” by Kent Hoover, The Denver Business Journal, March 12th. “Contentious bill to study state minority-business contracting is back,” by Ed Sealover, The Denver Business Journal, March 12th. “Legislature tackles issue of possible marijuana sales tax refund,” by Dennis Huspeni, The Denver Business Journal, March 12th. “Republican Party ups its investment in Colorado,” by The Associated Press, 9News, March 11th. “The ‘fiscal cliff’ effect on state tax revenue is finally starting to wear off,” by Niraj Chokshi, The Washington Post, March 11th. “Governor has unlikely ally in ethics complaint,” by Lynn Bartels, The Denver Post, March 10th. “Manufacturers see best business outlook in two years,’ by Kent Hoover, The Denver Business Journal, March 10th. “Like never before, moms make an impact at Colorado legislature,” by Lynn Bartels, The Denver Post, March 9th. “Caucuses signal official beginning of election season,” by Ernest Luning, The Colorado Statesman, March 9th. “New effort to connect on telecom reform,” by Peter Marcus, The Colorado Statesman, March 9th. “Not all can have a piece of pot taxes in Colorado,” editorial, The Denver Post, March 8th. “Bill to audit Connect for Health Colorado gets House approval,” by Ed Sealover, The Denver Business Journal, March 7th. “Federal appeals court rules Colorado TABOR lawsuit can move forward,” by Kurtis Lee, The Denver Post, March 7th. “Chambers of commerce leaders rally at Colorado Capitol,” by Ed Sealover, The Denver Business Journal, March 6th. Today is the last day of employment at CACI for Sue McGurkin, CACI Federal Policy Representative. Sue and her husband, Mike, are moving to the Boston area because of Mike’s job. Sue joined CACI in early 2012, coming from CACI member Intrado. Sue was hired for the newly created position of Federal Policy Representative, which the CACI Board approved in December 2011. A luncheon of CACI members with U.S. Congressman Cory Gardner to discuss cybersecurity. Sue served as a liaison between CACI and the U.S. Chamber of Commerce and the National Association of Manufacturers on Federal policy matters. CACI is the official state partner for both national business organizations. Sue’s upbeat personality, smile and pleasant disposition will be missed by the CACI staff and members. Avid sports fans, Mike and Sue can be expected to cheer on the Boston Patriots, the Boston Red Sox, the Boston Celtics and the Boston Bruins. But CACI trusts they will always hold Denver’s major league sports teams and the CACI family close to their hearts. CACI wishes Sue and Mike the very best as they start a new chapter of their lives in Massachusetts. Please see the note below from Joe Trauger, NAM’s Vice President of Human Resources, regarding a Memorandum issued by the President directing the Secretary of Labor to revise the existing rules on qualifying for overtime pay. Details are still forthcoming and we do anticipate these changes to impact some of our member companies. There will be a public comment period regarding the proposed rules and we will keep you posted as more information is known. Today, the President issued a Memorandum directing the Secretary of Labor to change existing rules regarding who and how to qualify for overtime pay under the Fair Labor Standards Act (FLSA). The current rules for overtime pay lay out a test based on a threshold weekly salary (currently set at $455/week), as well as whether an employee performs duties in a certain job category (management, supervisory), which then would exempt the employee from overtime pay. Although the details have yet to be specified, the Memorandum directs the Secretary of Labor to significantly alter this test by increasing the threshold weekly salary amount as well as altering the job category exemptions. We anticipate the Labor Secretary will propose new rules in the coming weeks and the NAM plans to respond and oppose these rule changes through the notice and comment process. This latest proposal is yet another example of how this Administration fails to understand the financial stress and pressure they are placing on businesses. Manufacturers have to consistently fight against the rising tide of regulatory burden and cost disadvantages. While we are poised for a manufacturing comeback, proposals like this only stand to undermine that resurgence. As soon as we have more details we will forward them on to you.